Enjoy the Holidays. Leave the Decorating to Us. Professional holiday and event decorating services from Christmas Decor by Arvidson serving the northwest suburbs of Chicago. 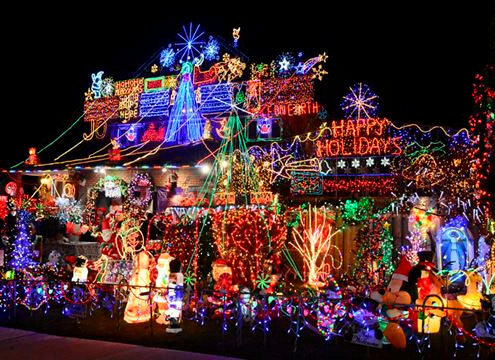 Christmas Light Installation can make you feel festive, but the actual process can be as grueling and difficult as Clark Griswold makes it look in National Lampoon’s Christmas Vacation. Brighten your house and encourage the Christmas spirit without all of the hassle of putting up decorations yourself! Make your customers feel festive! Christmas Decor by Arvidson can light up your building safely and easily with precise installation methods and safety regulations. 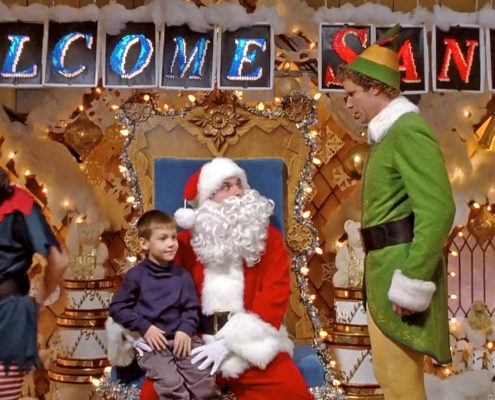 Decorations can be put on and taken away without you having to lift a finger, making your building a Christmas masterpiece that even Buddy the Elf would be proud of. Tell us what you want, and we will exceed your expectations! 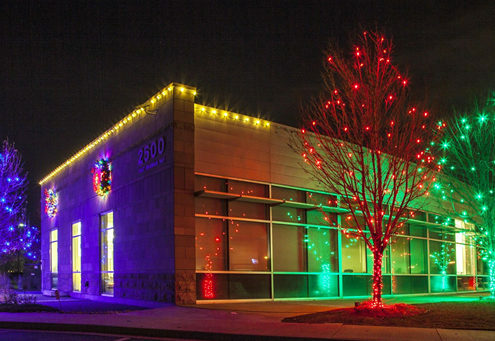 Our holiday lighting design professionals provide exceptional service every time. Please visit our gallery to see the endless possibilities of Christmas light installation services throughout the North and Northwest Chicago suburbs including Crystal Lake, Barrington, McHenry, Johnsburg, Woodstock, Lake in the Hills, Huntley, Cary, Palatine, St Charles, Dundee, Carpentersville, Elgin, Gilbert. 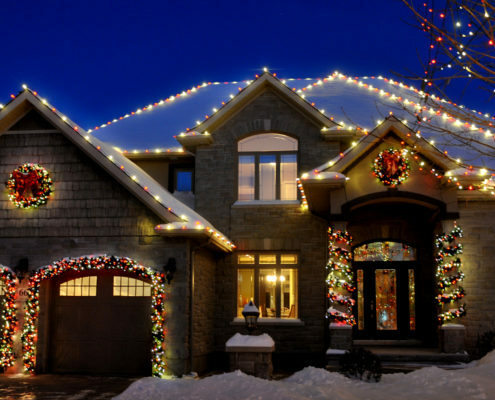 We are the #1 Christmas Decor holiday lighting installer in Northern Illinois. Ensure safety with strict electrical safety measures & the reliability of complete insurance. Stay green with energy friendly LED lights. Get the aesthetic appeal with realistic lit and unlit greenery & designs unique to your property. Top of the line education with extensive design training and comprehensive electrical instruction. Incredibly convenient with take down services, maintenance, & trouble-free storage. Personalized service from a family-owned and operated business. Your expert holiday display and Christmas light installers brighten the holiday season by providing you a professional, hassle-free decorating experience. Enjoy brilliant results that give your property that special something for the holidays. Ready to put up your decorations? Our holiday lighting professionals bring the Spirit of the Season to life with custom lighting designs and installation. For more information regarding our Holiday lights installation services or to get a free estimate, click below or call us at 815-701-0072. Our Elves will get back to you asap! Imagine your home professionally lit for the holidays! We love to see our communities sparkling with magnificent Christmas lights and festive holiday displays. 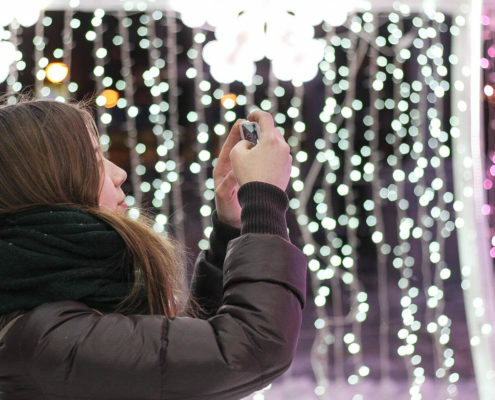 What can be more joyous this time of year than the holidays coming alive with the magic of glittering lights? With the help of Christmas Decor by Arvidson, holiday decorating and Christmas light installation professionals, your home will be the envy of your friends. Live in the McHenry, Crystal Lake, Barrington, Woodstock, Cary, Lake-in-the-Hills, Huntley, or Algonquin neighborhoods? We can help! Each designer is trained in the latest design techniques, so your home looks its best during the holidays! Professional installers know how much your home means to you: they use property-friendly installation methods and extreme care to take care of what is yours. Count on us for longer-life bulbs, full, lush greenery, UL rated wire and heavy-duty components. We’ve got an answer! If you can’t find it here, contact us below! Wondering what Christmas Decor by Arvidsons is capable of? 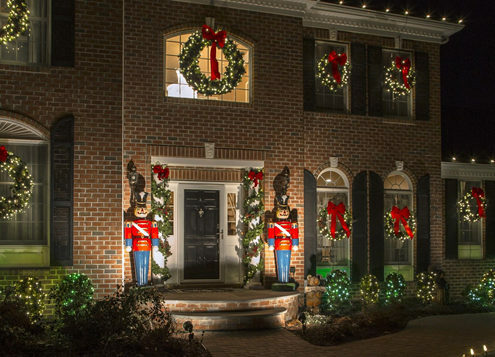 Check out our gallery for a few of our favorite Christmas lighting installations!